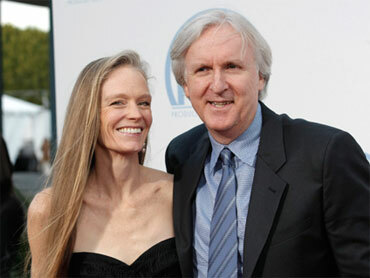 "Avatar" director James Cameron, who has taken movioegoers to the moon Pandora, is heloing NASA take a 3-D camera to Mars. The Oscar-winning director is helping to build a high-resolution 3-D camera on the next-generation Mars rover. The camera will be mounted atop Curiosity, the next rover mission to Mars, set for launch next year. Pasadena's Jet Propulsion Laboratory scaled back its plans in 2007 to mount a 3-D camera atop Curiosity because the upcoming flagship mission to Mars was consistently over budget and behind schedule. But Cameron lobbied NASA administrator Charles Bolden for inclusion of the 3-D camera during a January meeting, saying a rover with a better set of eyes will help the public connect with the mission. San Diego-based Malin Space Science Systems is now building the 3-D mast camera with Cameron listed as co-investigator. The 55-year-old Canadian won three Oscars, including the statuette for Bst Director, for 1997's "Titanic." His first release since then, the 3-D sci-fi adventure "Avatar," also earned him an Oscar nomination. Though he didn't win the prize, he did win big at the box office. It took in $77,025,481 on its opening weekend and has earned almost $750 million so far.